Anyone who’s ever watched an episode of Border Security knows some of the strange and bizarre things people have attempted to smuggle into Australia at airports. From illegal drugs to exotic foods and herbal remedies, people try every trick in the book to try and outsmart custom’s officers to bring prohibited items into the country. 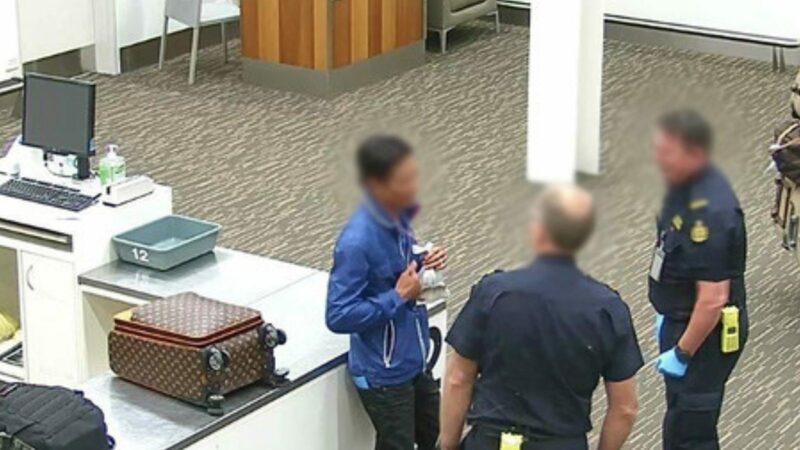 In what could be one of the strangest cases to date, the Australian Border Force confirmed on Sunday that a 34-year-old Vietnamese national was arrested at Adelaide Airport after Australian Border Force officers caught him allegedly trying to import a live fish that was hanging in a bag around his neck. 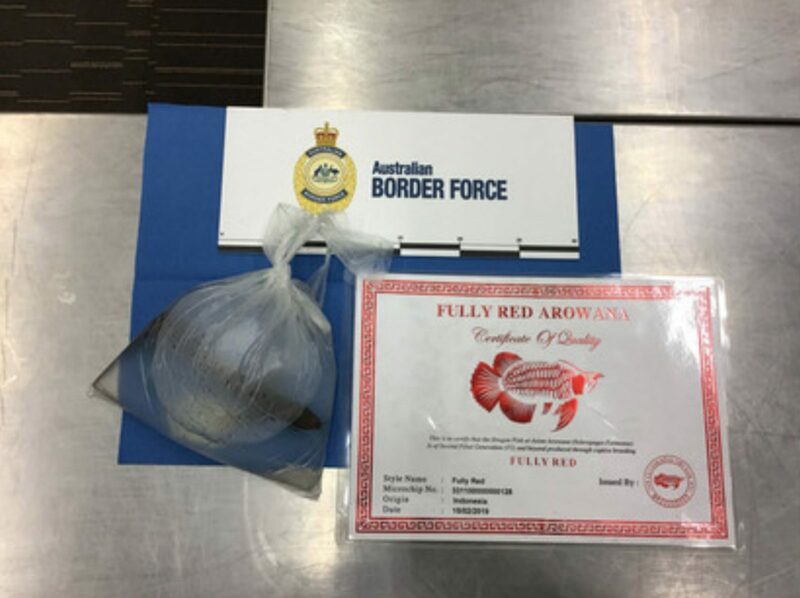 The man was selected for a baggage examination after arriving in Adelaide on a flight from Malaysia and during a routine frisk search, he surrendered the bag containing a fish. The fish was referred to the Department of Agriculture and Water Resources for identification and to assess the biosecurity risk. It was later confirmed to be an endangered Fully Red Asian Arowana fish. According to the Australian Border Force, the trade of the species is controlled under the international Convention in Trade of Endangered Species, to which Australia is a signatory. Sadly, the fish had to be put down. “The fish had to be humanely euthanised, as illegal imports of exotic animals can introduce serious pests and diseases that pose a significant biosecurity risk to Australia,” Australian Border Force said in a statement. While the man was arrested after the discovery, he was subsequently released on bail. He is expected to face the Magistrates Court on May 15. Anyone caught committing wildlife trade offences in Australia faces up to 10 years behind bars or a fine of up to $210,000 for individuals or up to $1,050,000 for corporations. 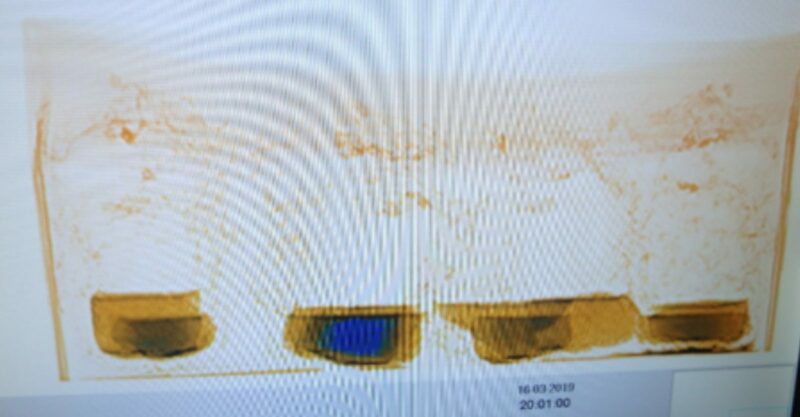 While the fishy find is welcomed news for Australia’s borders, it’s not the only case of people trying to smuggle live fish into the country. Earlier this month, officers in Victoria detected 20 fish in an air cargo consignment from Vietnam, which was labelled as “artificial flowers”. The package was X-rayed on arrival where 13 plastic bags containing artificial plants were found. Deconstruction of the bags revealed a further 10 bags concealed inside, each containing two fish. Just nine of the fish had survived, but were later humanely euthanised. “Our officers use various forms of resources and technology, including X-ray, detector dogs and intelligence, as well as officer skill and intuition, to find these and other items of interest,” ABF Aviation Goods Victoria Superintendent Greg Dowse said in a statement earlier this month. Do you watch Border Security? What are your thoughts on this case?